From dongles to docks, these are the year's best Mac accessories. We value our Mac computers. Whether on a desk or in a lap, they help us complete many life tasks. But you and your machine wouldn’t make it without reliable accessories — especially now that we live in the USB-C era. Storage drives, hubs with extra ports, a good pair of headphones, maybe a bag to carry your tech — all these Mac accessories play important roles. They often remain unsung, but sometimes come through to help us avoid a devastating loss of hardware or important work. 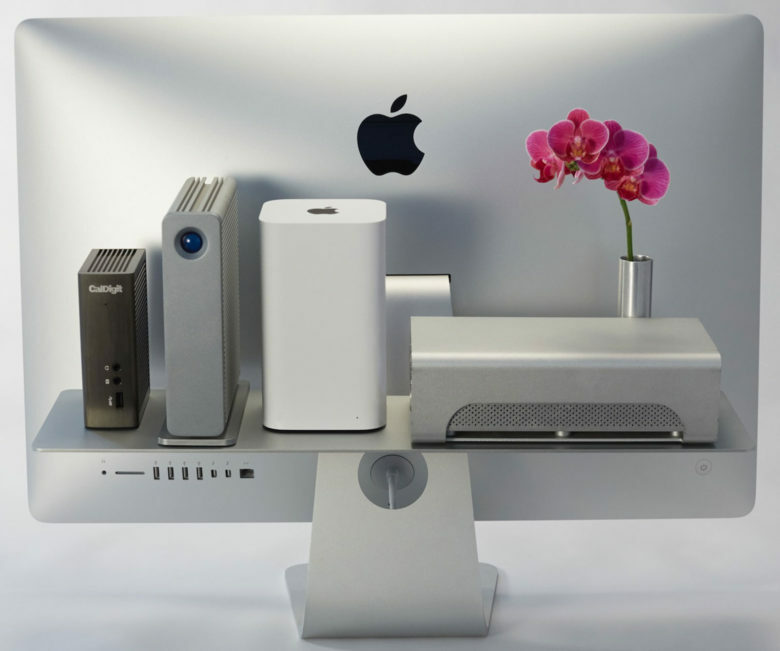 So if you are looking to bolster your Mac support team, look no further than this list of some of Cult of Mac’s favorites accessories from 2016 for iMacs, MacBooks and MacBook Pros. Not everything on the list plugs in or needs battery power to work, but we tried to give you a sampling of everything you might need, plus a few stylish indulgences. If there is a peripheral device or accessory you got in 2016 that you absolutely love, share it in the comments below to make this list even more useful. 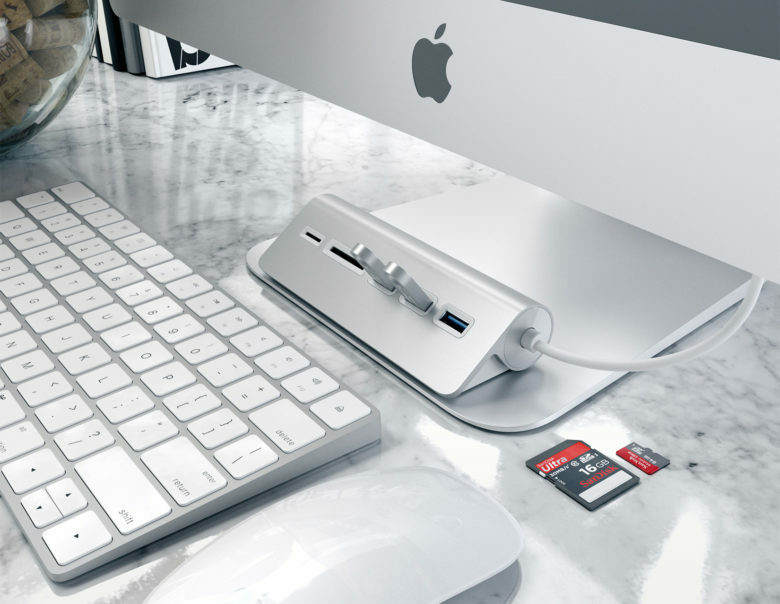 Satechi USB 3.0 hub adds extra ports to your iMac workstation. Speaking of plugging in, Satechi makes a USB 3.0 hub and card reader that adds three additional USB ports and slots for SD and Micro SD cards. Connect your digital camera, external hard drives, flash drives and a single printer, all from this single hub, which goes for $29.99 on Amazon. 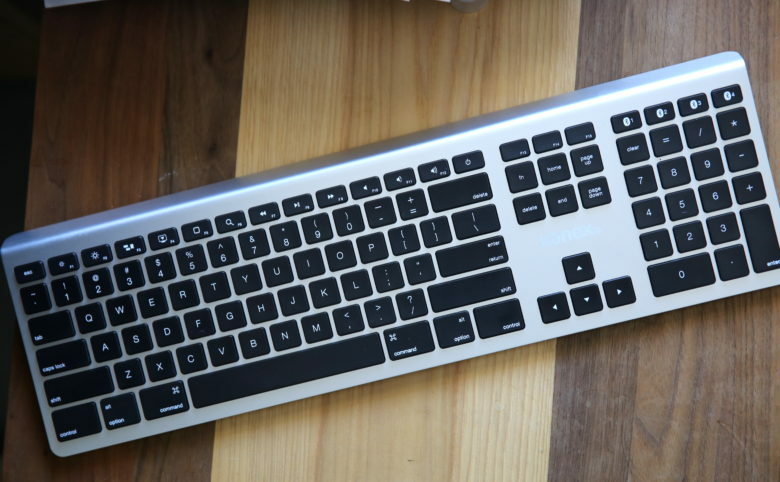 Kanex’s MultiSync wireless aluminum Mac keyboard with one-touch quick switching. Apple refers to its wireless keyboard as “magic,” but the Kanex MultiSync Aluminum Keyboard has more superpowers. First, it looks cool, its black keys contrasting nicely with the metal. It boasts a full number pad, along with dedicated search and home keys, and can connect to as many as four devices at one time via Bluetooth with buttons that let you switch band and forth. The Kanex keyboard currently lists on Amazon for $83.94. The Clique 2 is a sleek but solid tray that locks in your Magic Keyboard and Magic Trackpad 2 in both left and right-handed configurations. 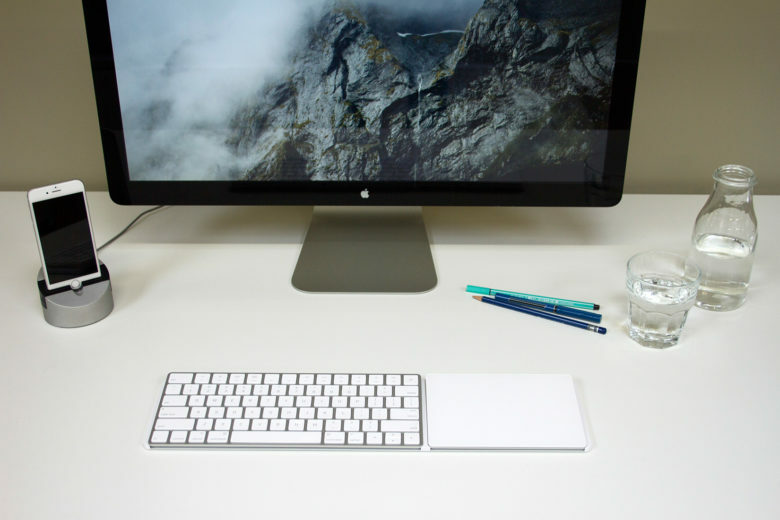 If you use Apple’s Magic Keyboard and Magic Trackpad 2, accessories company Henge Docks makes a tray that combines the two input devices so they feel like one streamlined accessory. The Clique 2 lets you set the MagicTrackpad 2 to the left or right of your keys while maintaining a strong yet thin profile. Float Shelf can hold peripheral devices and clear your desk for other things. PRISM, a design firm started by a guy who was on the same youth swim team as Steve Jobs, recently completed a successful Kickstarter campaign for the Float Shelf, an aluminum shelf that slips on the iMac’s tapered base and locks in. With its anodized finish, it’s a great place for hard drives and other peripheral devices. Or it can hold desk tchotchkes or small sculptures. PRISM is making the Float Shelf available for preorders on Indiegogo’s “InDemand” page. A small Float Shelf costs $75; a large one is $10 more. Because Float Shelf just finished up on Kickstarter, where it was 191 percent funded, shipping is expected to begin in April. 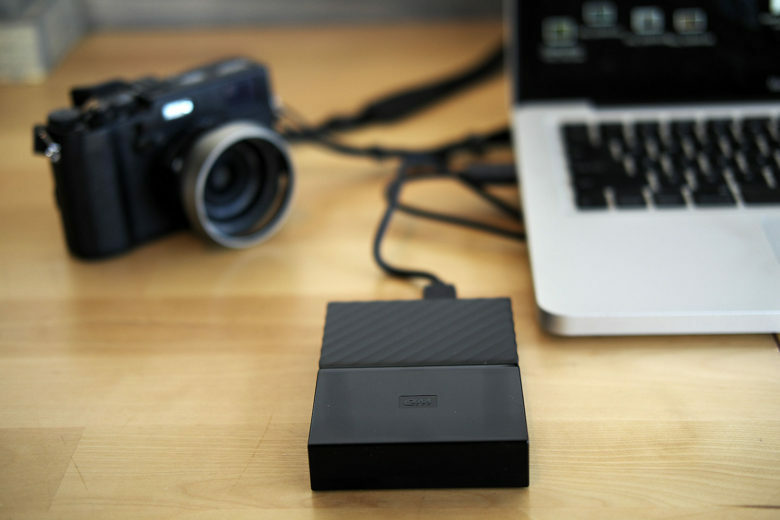 Store photos, documents, videos and music, or just back up your Mac, with Western Digital’s My Passport. The portable drives come in six bright colors, offering encrypted storage in 1, 2, 3 and 4 terabyte sizes. Western Digital sent me a test unit this year. Unsurprisingly, I was able to transfer large amounts of files quickly. Most of my work as a photographer is stored on WD Passport drives and, knock on wood, I haven’t had one crash. At $59.99 from Amazon, 1 TB has never been so cheap. The 4 TB drives go for $129. Maybe you work remotely, like me, and consider a coffee shop or library your office. You will probably need a few accessories. And since Apple just released a new MacBook Pro (and went all-in on USB-C), we thought it best to gear these accessories to those carrying (or about to carry) the latest device. WaterField Designs is a small shop in San Francisco that has been making tech bags and cases since 1998. 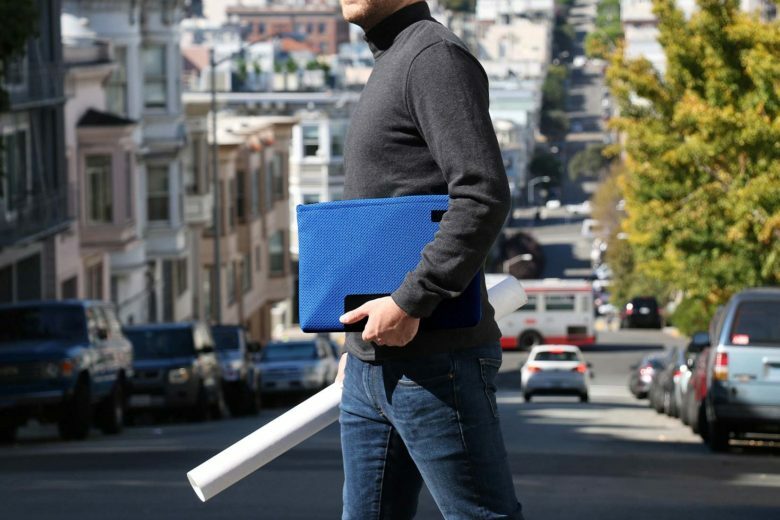 Its new Maxwell Sleeve was created for the new MacBook Pro. It is beautifully textured with a Nano-Tex fabric that comes in Kelly green, cardinal red, cobalt blue and slate gray. There is also a ballistic nylon sleeve that comes in black and a tan one in waxed canvas. The Maxwell Sleeve has a shock-absorbing neoprene interior. A strap converts the sleeve into a shoulder bag. You can order one for $99 on the WaterField website. 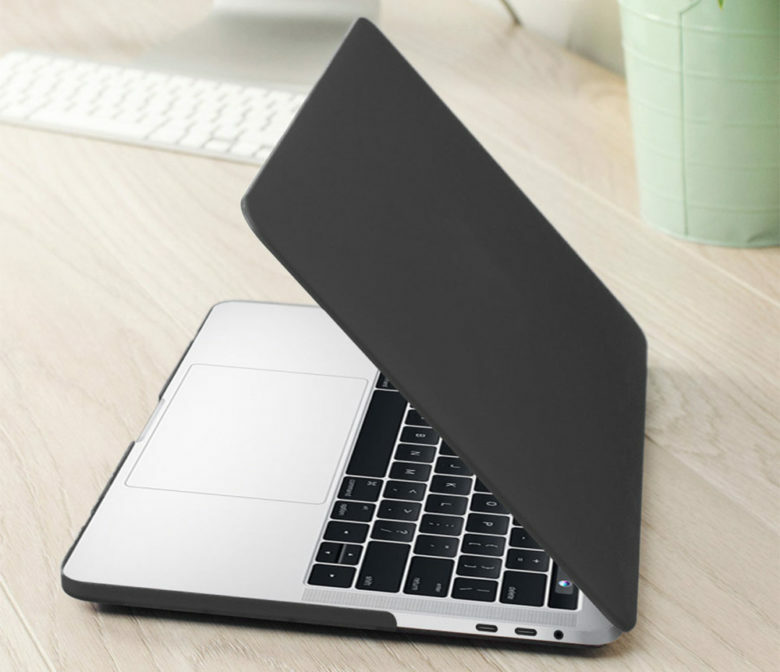 Olixar makes a ToughGuard Hard Case for the new 13-inch MacBook Pro. It is a form-fitting hard plastic that protects the computer from scratches while still keeping open the machine’s features and ports. The black plastic is translucent, so it won’t hide the Apple logo you are proud to sport. Priced at $20.99 on MobileFun, it is currently out of stock. The Ledge, a locking mechanism for the new MacBook Pro, can protect your investment while you work in public. The coffee shop worker needing to visit the restroom has two choices — take the MacBook with you or ask a stranger to watch your stuff. 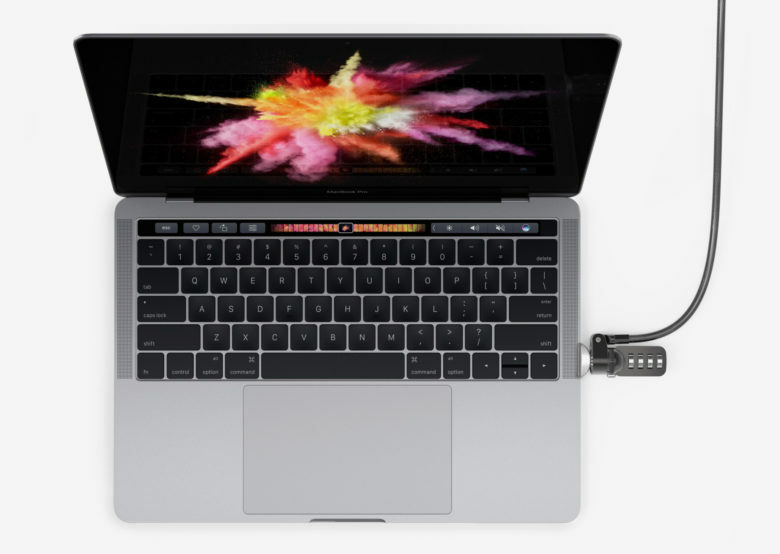 Maclocks offers a third choice: The Ledge, a security lock for the new MacBook Pro. A slot adapter secures on the left or right side of the keyboard without cluttering the Apple aesthetic and fits with a combination cable lock that can be looped around a stationary object. The Ledge is listed for $44.95 on the Maclocks website. Cable locks are sold separately, but if you’ve locked down your previous machines with Maclock products, you can use the old cable lock for the Ledge. The LG 27UD88 is a stunner of an external monitor that plugs into the USB-C ports of the new MacBook Pro. The color, brightness and gorgeous 4K picture will rival Apple’s Cinema Display monitor, plus the screen can raise or rotate 90 degrees for a vertical display. In back of the monitor are two standard USB ports, ports for HDMI and USB-C, a display port and a headphone jack. The 4K LG monitor runs $699 on Amazon.